Aims wallet from Royal Republiq. 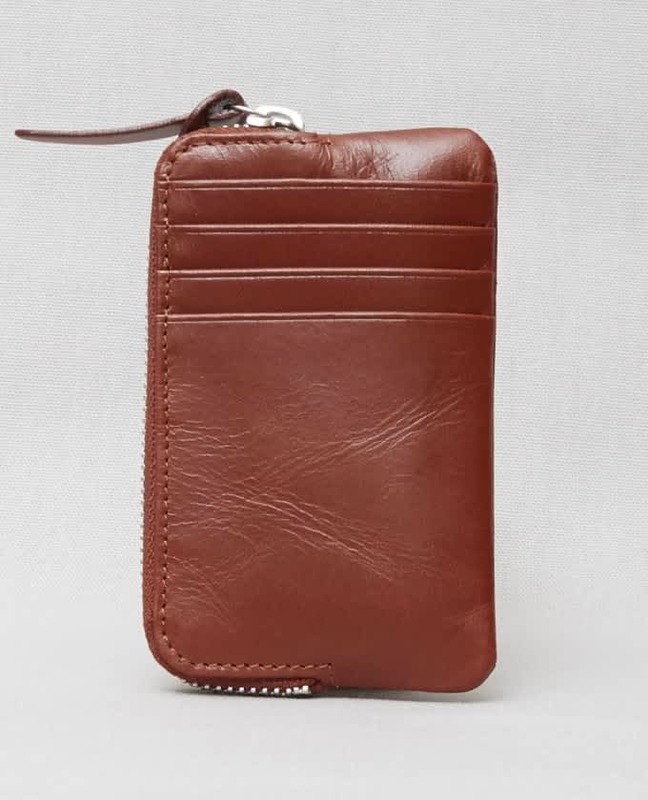 This cognac wallet is made of genuine leather. With zipped coin pocket and four card slots. Embossed logo on one side.